In our series showcasing high-end hi-fi to die for, Paul Rigby guides you through the features of an ultra high-spec power amplifier that positively glows with analogue radiance… and will cost you a cool £7,100! The MC275 MK VI is a supremely high-end power amplifier to slaver over and to drink in with the eyes – because there’s a lot going on here, and a lot of care and attention has been paid to its aesthetics. Packing 75 watts and weighing in at a hefty 30.5kg, the MC275 is dominated by whopping great transformers and supporting valves. Sporting balanced and unbalanced outputs, this is the sixth generation of the amplifier – so the MC275 has been finely tuned over the years. Oh, and those valves? Each one features a little LED to light it up during use. The valves turn amber (during the warm-up phase) and then green when the power is on to indicate readiness… and red if there’s a valve failure. The speaker binding posts are patented gold-plated Solid Cinch models. 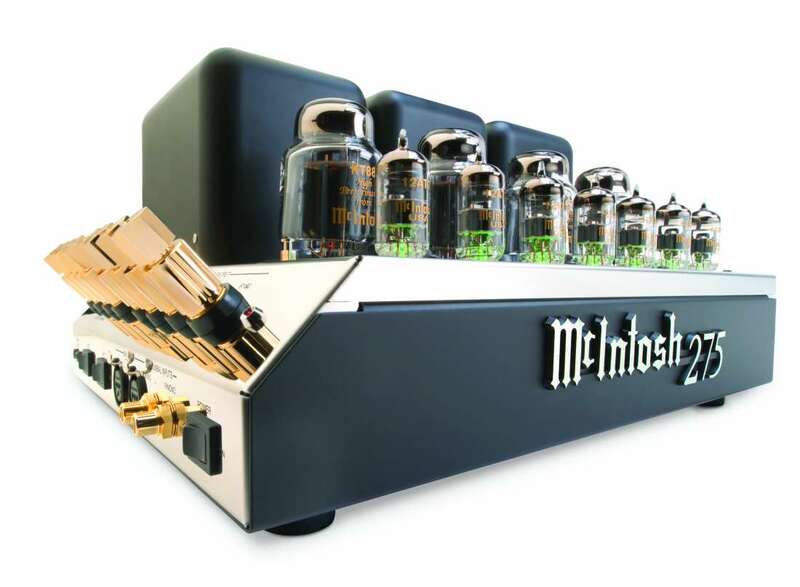 The amp’s chassis is made from polished stainless steel.